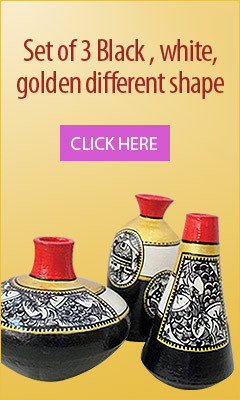 Many visitors ask us how can we use this product. 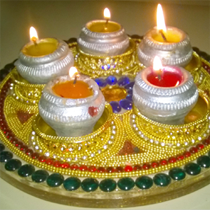 Hence we have decided to give you pictorial view about usage. 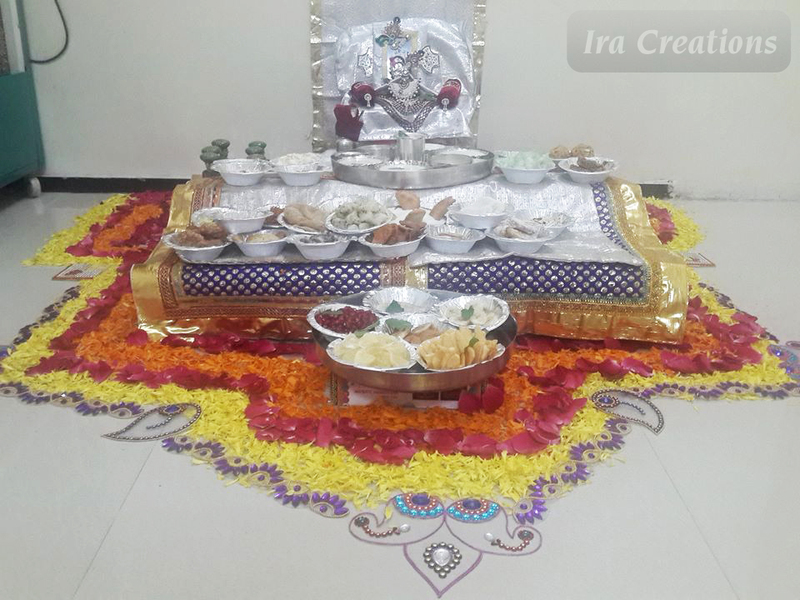 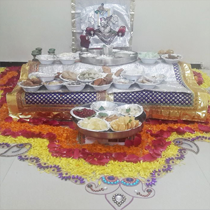 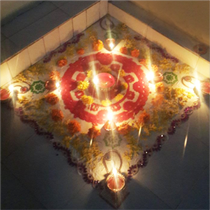 Below are the pictures sent to us by consumers who have used the products at their home or Shop or Temple to celebrate festivals and weddings with more colours. 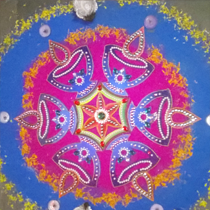 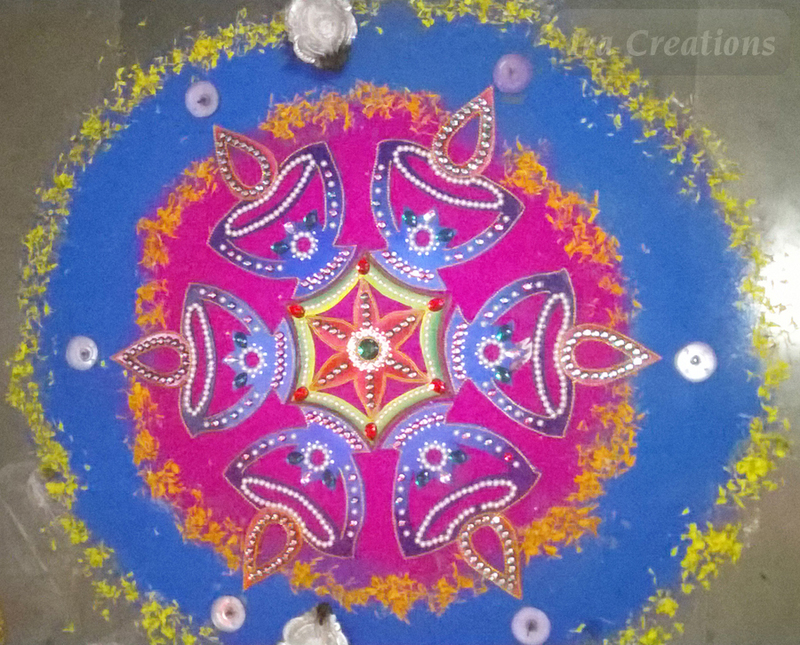 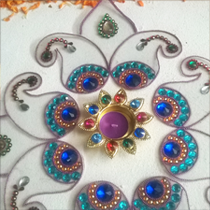 As you can see the Kundan Rangoli has been beautifully complemented with Flowers of Vibrant colours and traditional rangolis. 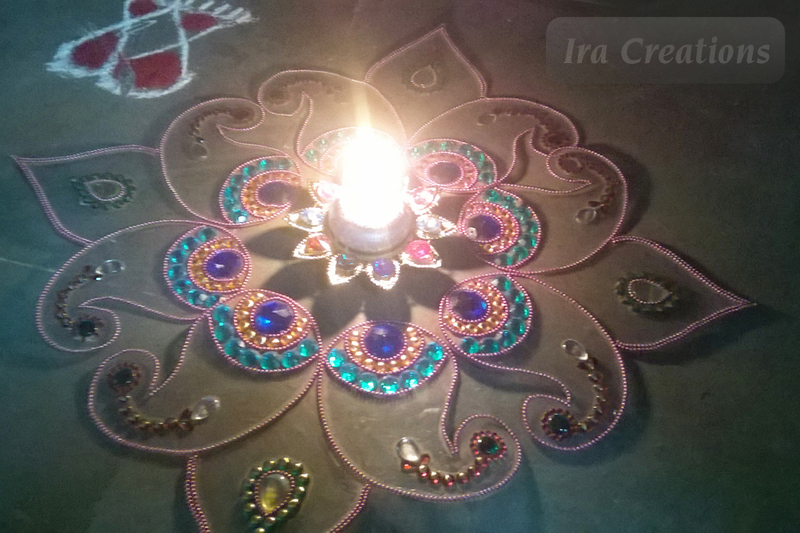 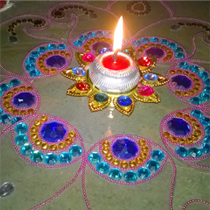 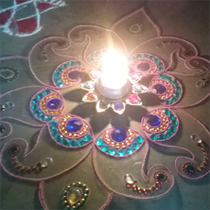 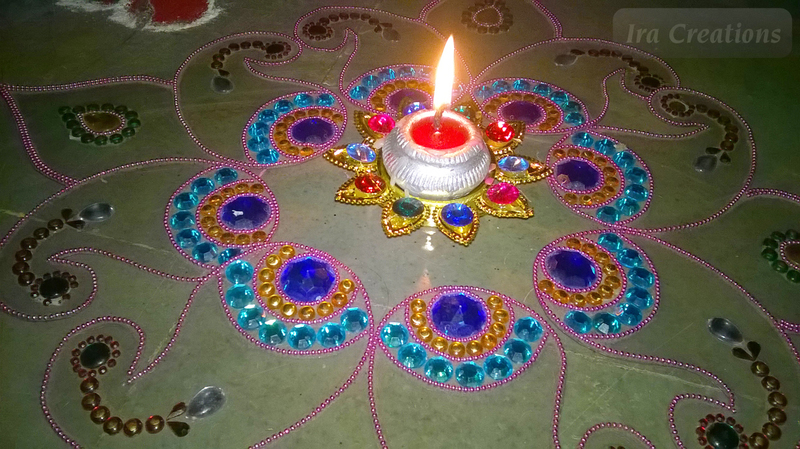 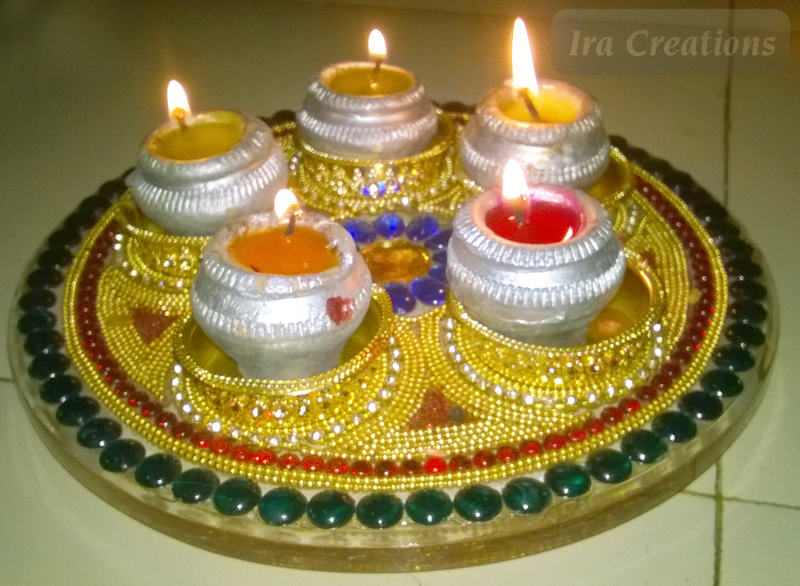 You can also use diya’s to add more value to the product. 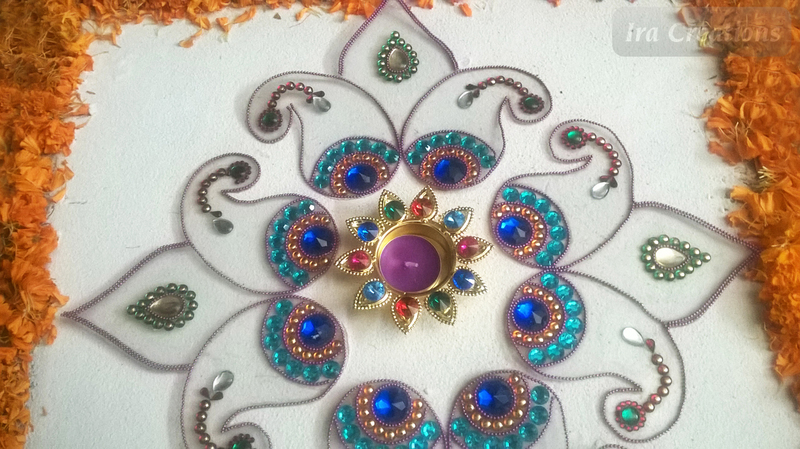 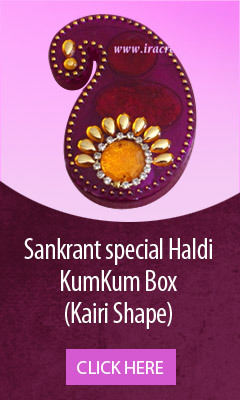 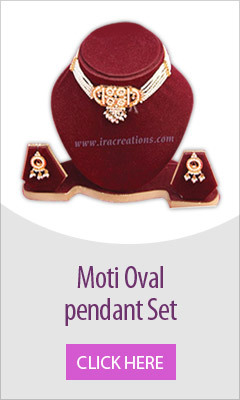 Buy our creations and give new dimension to the decorations this marriage and festive season.